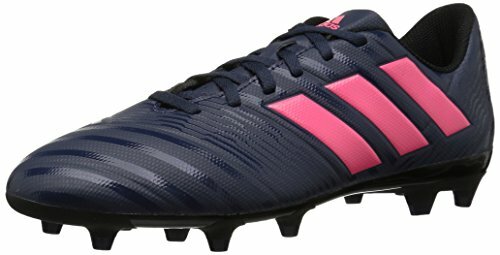 Add speed to your game in these women's Soccer cleats primed to play fast. Designed with a classic look, they feature a lightweight, durable synthetic upper for all-game comfort. Made for stability and speed on firm ground. 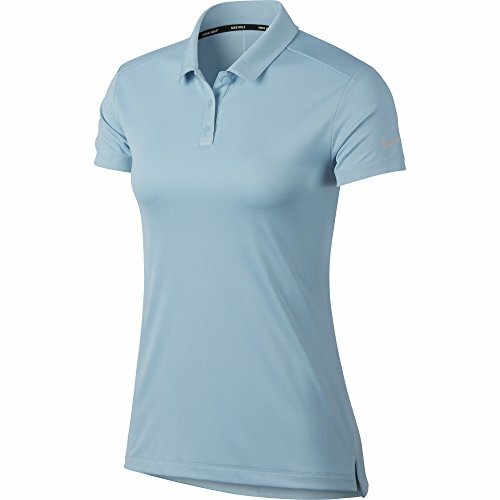 The NIKE Women's Dry Short Sleeve Golf Polo features a classic silhouette for polished style and sweat-wicking fabric to help keep you dry and comfortable on the course. See the ball with your mind in the Nike Phantom Vision Academy Dynamic Fit Multi-Ground Soccer cleats. Textured Flyknit construction has a grippy feel for amazing ball control, even in wet conditions. Quadfit mesh inner bootie micro-adjusts to any foot shape. It feels soft and game-ready with a secure fit. Dynamic Fit collar wraps your ankle with soft, stretchy knit to let your foot move freely. Ghost Lace system conceals the laces for optimal cleat-to-ball connection. Breathable fabric lining. Fixed foam insole helps alleviate cleat pressure. A super-light, full-length plate feels responsive and has multi-directional studs for quick cuts and bursts of speed. 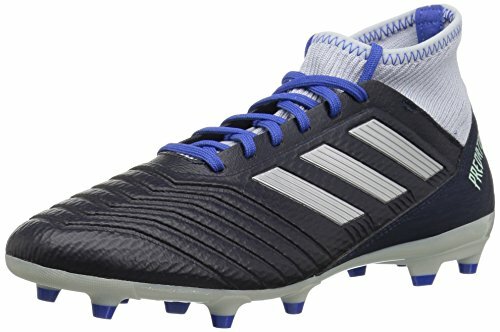 Dual-type multi-ground (MG) cleated rubber outsole designed for play on fields with natural grass, synthetic turf, or dirt surfaces. Imported. Measurements: Weight: 9 oz Product measurements were taken using size 11, width D - Medium. Please note that measurements may vary by size. Weight of footwear is based on a single item, not a pair. See the ball with your mind in the Nike Phantom Vision Academy Dynamic Fit Multi-Ground Soccer cleats. Defy opponents. Unleash agility that leaves them flat-footed and wide-eyed. Unpredictable and unruly, Nemesis tears up the field. 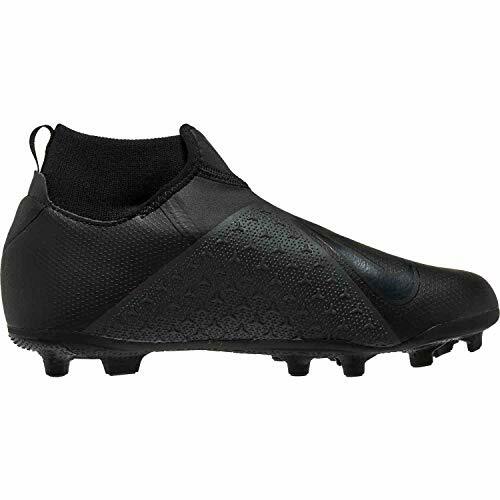 A foot-hugging AGILITY TOUCH upper gives these women's soccer cleats a locked-in fit. Designed for play on firm ground. Fly Knit socks links the foot, ankle and lower leg. Upper with 3D speed rib design enhance touch. Technical Support Based on a large amount of data developed chassis with V-shaped studs.AG-Pro Outsole for great grip on artificial grass.All Conditions Control (ACC) technology gives you precision control in wet and dry conditions.Equipped with hollow spikes and cushioning heel, can effectively relieves pressure on the forefoot, while a pressure-dividing liner embedded at the back then evenly distributes cleat pressure as you exercise. 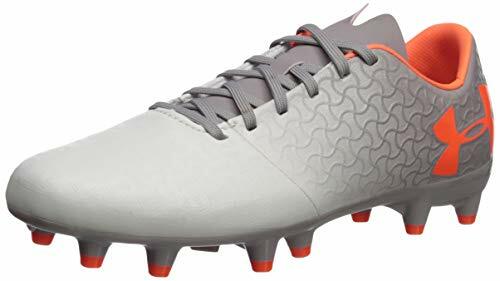 The lightweight evoPOWER 3.2 for firm ground is a performance football boot for players of all levels. It's infused with great style and functional technology to take your game to the next level. Highly functional powerCELL designs maximise your power and precision when kicking, and improve your level of play. UA FormTrue technology upper flexes under pressure for stability at high speeds. An internal layer of flexible, auxetic material molds around the foot for a precise, glove-like fit & feel that s truly customized to every foot. Soft, synthetic material wraps around your ankle & midfoot for extra stability & locked in support. Form-fitting toe box is incredibly soft for unmatched touch & feel. Abrasion-resistant TPU band for added stability & durability. Anti-microbial Ortholite sockliner for unmatched underfoot comfort & breathability. Combination of bladed & round, conical studs for optimum traction. 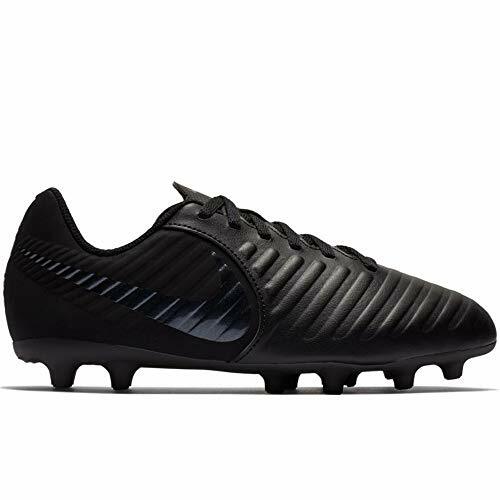 Conical studs enable quickness in all directions for enhanced agility & change of direction. Weight: 7.4 oz./ 230 g.
1.Perfect Design:The perfect arc design of the Toe,Let athletes increase the chance of get the football,auto insurance sewn tightness and upper level,help to reduce the ball's swing,can improve the quality of the players shot 17%! 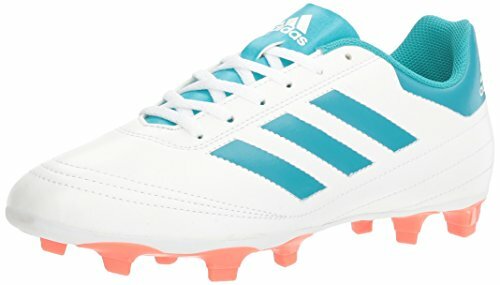 2.Fashionable and generous:Fashion colors,Make the soccer shoes with a good visual impact. 3.Rubber sole:Wear-resistant,non-slip,shock absorption,strong grip, start fast,Suitable for various fields. 4.Heel:Medial heel,soft and comfortable,protecting the ankle. 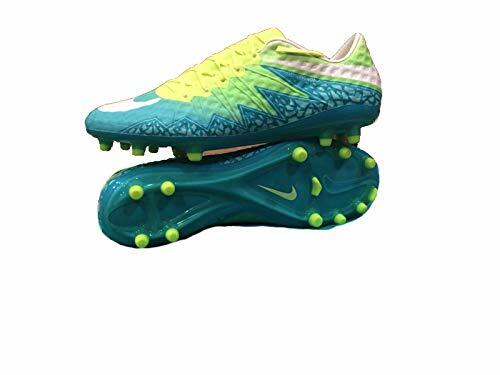 5.Stable football shoes:Reinforced the Shoes,Damper pressure,Stabilize the body,Easy to roll,Movement more stable security. 6.Ergonomics:Professionally measured thousands of times test,Design the shoes which is best meet the footsteps curve,can effectively protect the athlete's foot. 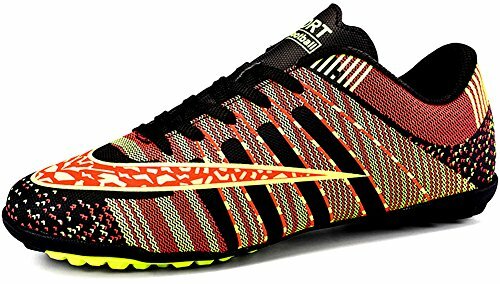 Professional sports shoes:Turf Soccer Shoes,Training Shoes,Trail Running Shoes. 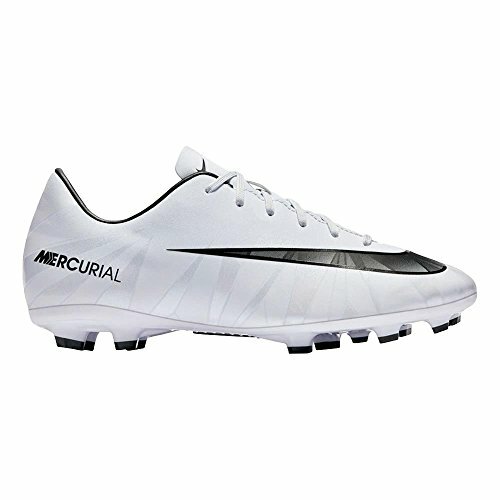 Your young star will get to the goal and make the game changing play in the Mercurial Vapor 11. 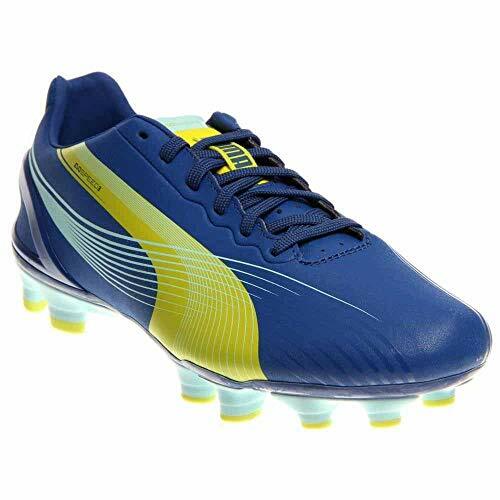 A synthetic leather upper with embossed horizontal ridges and low-profile toe box provides them with excellent control, ball touch and ability to get under the ball. 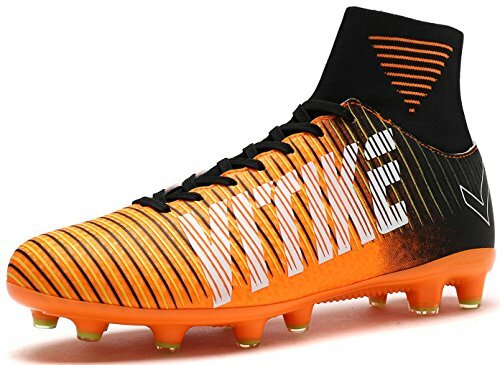 The Nike Mercurial Vapor XI CR7 FG soccer cleat has a contoured perforated sockliner that delivers underfoot comfort while a compressed nylon plate with FG cleats offers unmatched traction and support on the pitch. Show off your fancy, game-winning footwork in the Diadora Capitano ID soccer shoe. Softy synthetic leather uppers. Lace-up closure. Padded tongue and collar. Breathable fabric lining offers a great in-shoe feel. Fixed cotton and EVA foam footbed. EVA wedge midsole absorbs impacting shock. Abrasion-resistant gum rubber outsole delivers optimal traction on indoor surfaces. Imported. 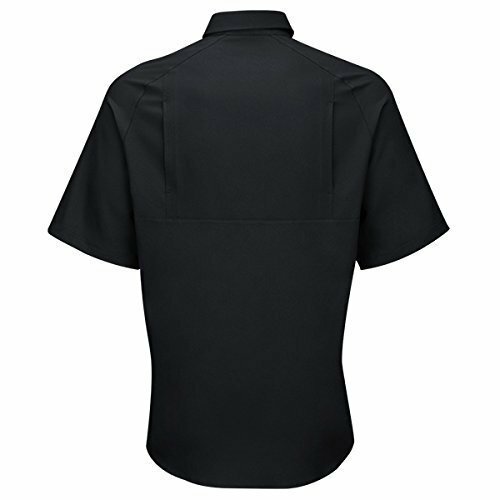 Measurements: Weight: 12 oz Product measurements were taken using size Men's 10, Women's 11.5, width Medium. Please note that measurements may vary by size. Weight of footwear is based on a single item, not a pair. 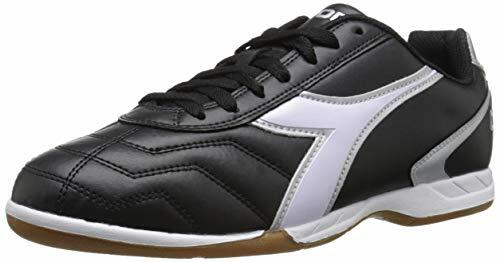 Show off your fancy, game-winning footwork in the Diadora Capitano ID soccer shoe. Keep them ready for their next match with the unbeatable performance of the Nike Kids Jr. Legend 7 Club MG Soccer cleated shoe! Soft synthetic leather uppers with foam backing for added touch. Traditional lace-up closure for an adjustable and secure fit. Molded texture enhances ball control. Mesh lining for breathable wear. EVA sockliner provides added comfort. Tongue is anchored on the medial side for a consistent fit. Swoosh detailing at medial and lateral side. Lightweight TPU plate provides durability and stable traction. Imported. Measurements: Weight: 5 oz Product measurements were taken using size 2 Little Kid, width M. Please note that measurements may vary by size. Weight of footwear is based on a single item, not a pair. Keep them ready for their next match with the unbeatable performance of the Nike Kids Jr. Legend 7 Club MG Soccer cleated shoe! The Nike Sportswear Air Max 90 has been an icon at street level on these shores for over two decades and we've long been adverse to changes to this Tinker Hatfield design. These Hyperfuse editions are actually incredibly effective, using the seamless heat-fused triple-layer mix of supportive material, mesh and a top layer to offer new aesthetic options that go "beneath the bonnet" on this masterpiece and amplify colour in spectacular style. 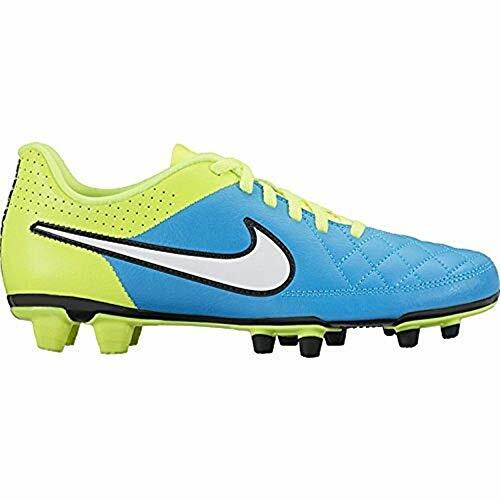 You can run the field with confidence in the Nike Women's Tiempo Rio II FG Soccer Cleats, which are made with synthetic uppers to provide a soft feel and light weight. The TPU plates offer flexibility and traction. EVA sock liners ensure a smooth feel, and the low-top design provides freedom of motion. Welcome to the YOcheerful store,YOcheerful is a boutique that focuses on Women's fashion garment boutiques and Plus-size Women's apparel. We offer free flexible return and exchange. If you have any questions, please contact me by email. We will give you a satisfactory answer within 24 hours. We always take the customer's satisfaction at first. 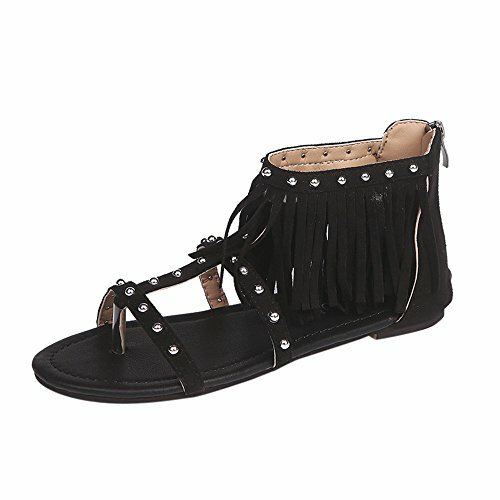 If you need other styles of women's clothing, please search for YOcheerful. Take the field ready to make your mark on the game in the New Balance Draw lacrosse cleat. A synthetic upper and TPU plate with secondary lugs provides you with unmatched support, stability and traction to perform your best. Ultralight Flywire cables offer a locked-down fit and dynamic support. NIKESKIN upper creates superior ball touch. Toe and midfoot blades have TPU tips for durability. Molded sockliner cushions to help reduce the pressure from studs.